Did My Stomach Fall Asleep on the Job? Canada Pharmacy Online > Blog > Did My Stomach Fall Asleep on the Job? For most of us, the stomach ingests and digests food all on its own. Things move seamlessly as many parts of the stomach begin breaking down food and churning it into nutrition for our bodies. The food is then passed into the small intestines where all those nutrients are absorbed by the body, helping fuel our cells for function and growth. Gastroparesis tends to be more common in women and can be difficult to diagnose due to its varied causation. What type of symptoms might I experience? •	Foods rich and dense in nature. These are called high osmolarity foods (foods that contain large chain particles and retain more water). Small chain fatty acids and simple carbohydrates digest faster and are more easily broken down compared to large food chains. Whey based proteins and partially hydrolyzed formulas take less time to break down and aid passage of food into the intestines. Gastroparesis is triggered differently for each person. One day may be tough, and the next with no trouble at all. Others will experience months, or even years at a time without relief. How do I find out if I have Gastroparesis? •	Gastrointestinal Endoscopy: This procedure uses a small, flexible tube inserted through the esophagus and into the stomach. The endoscope has a light and camera which takes images and measures dimensions within the stomach to evaluate how much food is there. •	Upper Gastrointestinal Series: This procedure involves drinking a chalky, radioactive, barium fluid. The patient then either stands in front of, or lies under an x-ray machine. The technician can watch the passage of food as it enters and exits the stomach. •	Gastric Emptying Scintigraphy: This procedure involves eating a small amount of food with radioactive material. The test can watch the food as it is broken down and exits the stomach. Images are taken every 15 minutes, with emphasis on one, two, three, and four hour markers. Gastroparesis is present if 10% or more of the meal remains in the stomach after four hours has passed. What type of complications can be associated with gastroparesis? Treatment options can vary based on symptoms. Prokinetic drugs are a popular choice of treatment. Domperidone is a antiemetic and prokinetic drug used to treat Gastroparesis. The drug is often delivered by swallowing a small capsule or pill before meals. Domperidone is rapidly absorbed and therapeutic levels peak between 30-60 minutes after administration. The medication increases stomach contractions, pushing food along the path of digestion into the small intestines, thus accelerating stomach emptying. It also helps reduce nausea and vomiting. Domperidone can even alleviate esophageal pressure, allowing for the passage of food into the intestines more easily. Unlike some other motility treatments, Domperidone has minimal transfer across the blood-brain barrier, which greatly minimizes the risk of neurological side effects. Domperidone is widely used across the world and is available in some countries under additional supervision. Antiemetic (anti-nausea) drugs can be used in conjunction with motility medications. Other drug classifications used to treat Gastroparesis include antispasmodics and antidepressants. 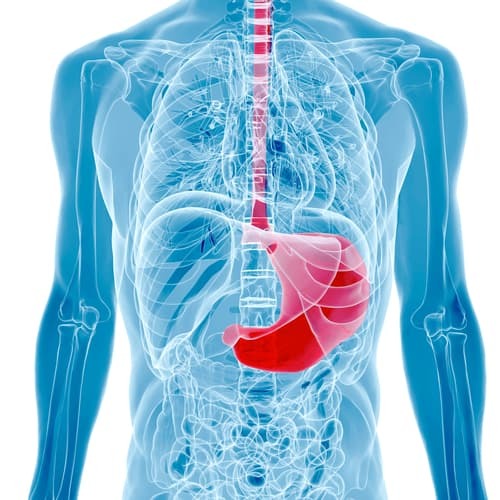 Millions of individuals all over the world are suffering from delayed gastric emptying. And while the average age of onset is the mid-thirties, adults and children alike struggle with Gastroparesis on a daily basis. Gastroparesis can get in the way of accomplishing daily activities such as eating, sleeping, and simply feeling well enough to get through the day. If you think you may have Gastroparesis, make sure to contact your physician with your questions and find the best course of treatment for you. 1) National Institute of Diabetes and Digestive and Kidney Disease, U.S. Department of Health and Human Services. Digestive Disease: Gastroparesis. https://www.niddk.nih.gov/health-information/health-topics/digestive-diseases/gastroparesis/Pages/facts.aspx. June 2012. No copyright. 2) Gastroparesis Patient Association for Cures and Treatments, Inc. Non-Profit. https://www.g-pact.org/gastroparesis. Welcome readers! My name is Katie, and I live just outside of Washington DC in the United States. My medical journey began years ago as a dental hygienist. While I still practice, I find most of my writing inspiration from my son. Born 11 weeks early, he struggled with many body system including gastrointestinal, pulmonary, metabolic, muscular, and endocrine, to name a few. I have learned more about medicine than I ever thought imaginable during his years of medications, hospital admissions, and procedures. I find sharing my knowledge both inspiring and cathartic. I struggled so hard to find accurate, valuable information. My goal has always been to make this information more readily available and easier to understand. Finding helpful information just shouldn’t be that hard. I hope the information you’ll find in my posts will help you progress in your medical journey, in all body, mind, and heart. Thank you for sharing in my progress as well.